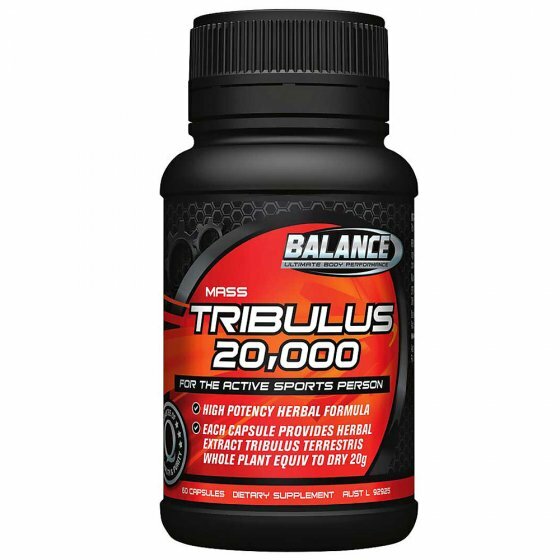 Balance Tribulus 20,000 Capsules is a high energy herbal formula, to support the stamina and endurance needed during intense physical activity or an active lifestyle. Tribulus works by continuing the production of testosterone levels in the body. Testosterone is a naturally occurring hormone associated with muscle growth, strength and support for endurance, stamina and athletic performance. Made in New Zealand from the imported ingredient.